The Future Technology For Tough Weeds Is Here – and fully approved! 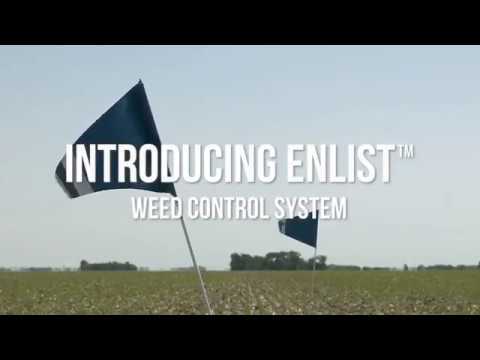 A new era for weed control is here with Enlist E3™ soybeans. As your Enlist Authority, Peterson Farms Seed is the leader in bringing the latest soybean trait technology for exceptional weed control and application flexibility to this region. For four years, we’ve been working with the Enlist™ weed control system for soybeans, learning all the ins and outs and preparing to bring this new technology to you. We know how different varieties of Enlist E3 soybeans perform right here—what to watch for, and what you need to know. Tim & Randy Garrett (approved DOW Field Forward participant) share their experience growing Enlist E3 soybeans. We are offering 11 varieties of Enlist™ E3 soybeans ranging from Group 00 to Mid-Group 2. Our hands on experience over multiple growing seasons allowed us to select varieties for their proven performance in variable conditions across the region. The Peterson Farms Seed Enlist E3 soybean lineup. *May require a broader management plan including timely application and use of a soil residual herbicide. Enlist E3 soybeans represent the most advanced soybean traits on the market, with tolerance to new 2,4-D choline as well as glyphosate and glufosinate. With tolerance to three kinds of herbicides, Enlist E3 soybeans can be treated with Enlist One™ and Enlist Duo herbicides. Both herbicides feature new 2,4-D choline with Colex-D® technology and provide superior control with low drift and low volatility. Enlist Duo herbicide is a blend of 2,4-D choline and glyphosate, allowing for an additional mode of action in the fight against resistant weeds. • With two modes of action, Enlist Duo herbicide delivers control and help to prevent resistance in your fields. • Gain tank-mix flexibility with glufosinate and other qualified tank-mix products for a customized weed control program to fit your farm. One thing we appreciate about Peterson is the accessibility of their team. Agronomists, sales staff, and the processing team are always available to listen and answer any questions we may have.